Over the past year, Volkswagen has been forced to issue a number of recalls for serious vehicle defects that pose risk to consumer safety. This is not only involving Volkswagen models, but also Audi vehicles, which the company also manufactures. This latest round of recalls involves nearly 600,000 vehicles and is the result of two distinct defective systems. This is not related to the defective anti-lock brake issue that already caused a major recall in January 2017. According to the Daily News, this latest round of recalls involves 2013 to 2017 Audi sedans and SUVs that have a 2.0-liter engine equipped with a turbocharger. 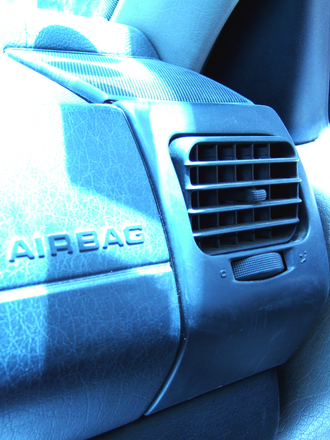 In these vehicles, the electric coolant pump can become blocked while the engine is running. If this occurs, the engine can overheat. Normally, when a car overheats, the car will start billowing a foul smelling steam from under the hood and a temperature light will come on. This will normally cause the car to stall. However, in this case, the blocked coolant system can result in the car overheating to the point where it ignites into a vehicle fire, which can obviously result in serious injury or death.Another reported defect involves a seal in the sunroof on SUVs manufactured between 2011 and 2017. This defective seal can cause water to leak into the sunroof. While that may sound like an inconvenience and not a safety issue, the problem is that when the water leaks in, it can become directed into the housing that is designed to protect the side airbag system. The company has said that when this happens, the airbag inflators can become wet, and this can cause them to rupture in such a way that metal shrapnel from the system is sent flying into the passenger compartment of the vehicle. This affects around 250,000 SUVs. There have not been any reported injuries at the time the recall notice was issued, and the company has said it will fix all of these issues at no charge to the customers. Every day, we use a large number of products that were designed to make our lives more enjoyable and easier. In some cases, we are talking about a household product and in other case we are talking about a vehicle. Whatever the product may be, we are trusting that it will do its job and not cause any personal injury to us or to our families. With some products the danger is more obvious, while in other cases it may not be clear that any danger exists. However, as our Boston defective products lawyers have seen in far too many cases, when products are not designed in a safe manner, they can result in serious injury or even death, and that can be devastating to victims and their families. Fortunately, in the Commonwealth of Massachusetts, we have a very strong consumer protection law (Chapter 93 A of the MGL) that your products liability attorney may be able to use to help get you a full and appropriate financial recovery.